One of Las Vegas’ iconic hotel, The Mirage is the best place to stay if you are looking for luxurious amenities and casinos. With a whopping 3044 guestrooms and suites, ranging from the simple to the extravagant – some even have their own private pool, the hotel does not disappoint! Foodies will not be let down either, as there are plenty of restaurants, bars, snack bars and café’s in and around the hotel. 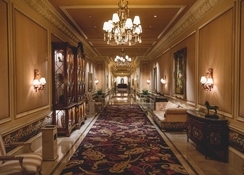 The hotel houses a lovely swimming pool, spa, fitness centre, salon and also takes the guests for Las Vegas tours. 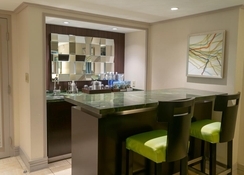 You can conduct business meetings and social events here at the hotel. 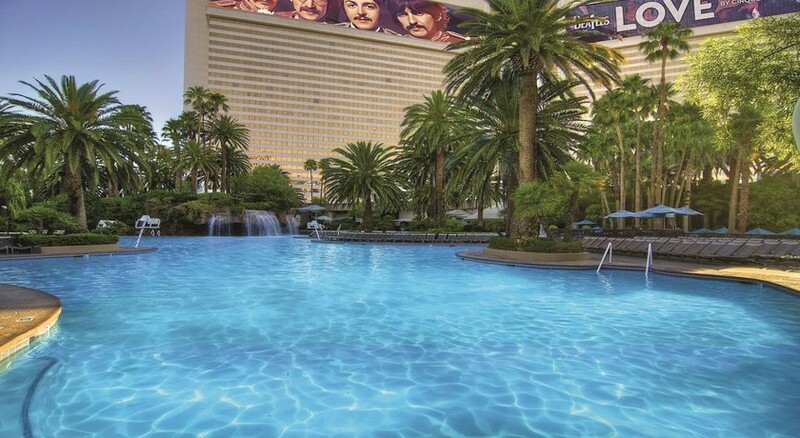 Nestled in the Las Vegas Strip, The Mirage was the first hotel built here. There is plenty of nightly entertainment, casinos, restaurants and shopping malls near the hotel to keep guests engaged throughout the day. The McCarran International Airport is just 4.6km, making it convenient for guests to board their flights on time. 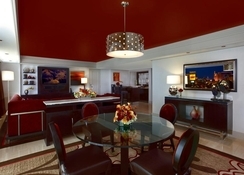 The rooms, suites and villas in the hotel are absolutely stunning, they offer spectacular views of the Las Vegas City. 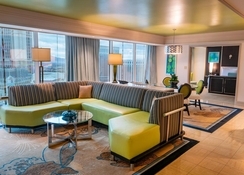 The room types include Resort Queen, Resort Tower King, Resort King, Stay Well King, Queen Volcano View Room, King Volcano View Room, Stay Well Queen, Queen Strip View Room, King Strip View Room, One Bedroom Tower Suite, One Bedroom Lanai, One Bedroom Penthouse Suite, Two Bedroom Tower Suite, Hospitality Suite, Stay Well Mirage Suite, Two Bedroom Penthouse, Mirage Suite, Three Bedroom Villa, Two Bedroom Villa, Two Bedroom Lanai and Three Bedroom Lanai. All guestrooms and suites offer necessary and luxury amenities such as flat screen TV, air conditioner, telephone, heater, shower in the bathroom, sofa set, double bed and much more. If you opt for premier rooms, you are offered additional services, including private gated entrance, in room spa and salon services, 24-hour private chef and Shadow Creek Tee Times. From scrumptious breakfast buffets to global gourmet meals, you will have an exceptional dining experience at the Mirage. In fact, every restaurant in the hotel has something to delight and satisfy every palate. 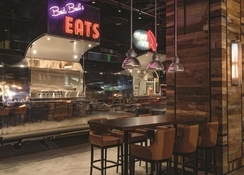 The restaurants in the hotel include Pantry, Tom Colicchio's Heritage Steak, Osteria Costa, Otoro (Robata Grill & Sushi), Carnegie Delicatessen, Cravings, Stack, Lvb Burgers and Bar, The Still, California Pizza Kitchen and Paradise Café. The Mirage encourages its guests to stay active on their holidays in Las Vegas with a host of sport and entertainment facilities. There is a lovely outdoor swimming pool, where you can take a relaxing swim and have refreshing drinks on the sun loungers dotted across the pool. You will also have an opportunity to connect with the nature’s most majestic creatures. Other than this, there is a well-appointed spa, where you can relax and rejuvenate under the hands of expert masseurs.